ESP is delighted to announce that 10 artists, including ESP members Susie Green and Mathew Parkin, have been selected for The Syllabus; a major new partnership and programme. Wysing Arts Centre, Cambridgeshire; Eastside Projects, Birmingham; New Contemporaries, National; S1 Artspace, Sheffield; Spike Island, Bristol; and Studio Voltaire, London came together nearly two years ago to establish a new peer network to provide an alternative learning programme for artists over a one-year period. Following a funding commitment from Arts Council England that enabled the programme to be developed, which was then followed by an Open Call for applications and an interview process that sought to select artists from across the UK whose work reflected a range of interests and practices, the partners are delighted to announce the first cohort of the programme. The selected artists are: Simon Bayliss, Noel Clueit, Susie Green, Aileen Kelly, Mathew Parkin, Jessica Sarah Rinland, Tom Salt, Lucy Steggals, Tom Varley and Rafal Zajko. The artists are based across the UK – Cornwall, Glasgow, Manchester, Newcastle, Norwich, Leeds, rural Surrey and London. Work includes painting, sculpture, film, video and performance alongside cross-disciplinary and curatorial practices. Starting at Wysing in June 2015, the artists will come together every two months for intensive seminars at each of the partner venues, led by artists who have a connection to the venues including Celine Condorelli, Andy Holden, James Langdon, Niki Russell and Keith Wilson. During the periods in between seminars the artists will be able to continue a dialogue via a specially designed website, and each will have their own mentor. Simon Bayliss lives and works in Cornwall. He is interested in British modernism and provincial seaside aesthetics conveyed through a critical and contemporary filter. Typically working with oil on canvas Bayliss has recently begun experimenting with ceramics, printmaking, text and plain air watercolours. He is interested in expanding his multidisciplinary and conceptual practice, whilst remaining rooted in regional and traditional attitudes. Noel Clueit lives and works in Manchester. Through sculpture, installation and a curatorial practice, he explores how authorship and knowledge, structure the way art is read. In questioning how we attribute our own understanding of art onto a work, he experiments with appropriation of art historical imagery which is instantly recognisable to the viewer, yet disrupted in some way. Susie Green lives and works in Newcastle. With a cross-disciplinary practice including works on paper, sculpture, design, music and performance, her work explores the intimate relationship and exchange between audience and artist. With an interest in tactile materials, Green experiments with work that can sit between art, music and fashion. A recurring interest for her is the concept of fetishisation – how one might seek to inhabit an object, artwork, surface or texture. Aileen Kelly lives and works in London. Raised in rural Northern Ireland, her work is influenced by the hand-made and make-shift objects and structures that surrounded her on the family farm. Kelly’s sculptures have a temporary and vulnerable quality to them, often being photographed and dismantled within an hour of their creation – only existing as memory that then progress into print, drawing and paintings. Recent work has focused on the simplicity of line, using cloth and wood to create three dimensional line drawings that play with visual perspectives and viewpoints. Mathew Parkin lives and works in Leeds. His work includes sculptural installation, video and a curatorial practice that explores subjective taste and desire in a world oversaturated by the internet. His most recent ideas are around identity construction and archetypal motifs such as branding and mass production as seen through fetishistic objects, such as sportswear. The power of these brands ties into cultural, class and financial hierarchical structures which he is keen to investigate through his practice. Jessica Sarah Rinland lives and works in Surrey and London. Her films, writings and installations investigate and unify opposing themes, interweaving original and found material. Rinland is interested in highlighting the incongruity of factual accounts and presenting fiction in documentary form. Natural history and science are reoccurring themes in her work, as well as the use of analogue formats such as 16mm film. Rinland’s most recent projects explore botany and the elusive behaviour of whales, highlighting that the most minute forms of life have an interaction with the most complex. Tom Salt lives and works in London and Norwich. His practice straddles interests in material dispositions, pop culture, language and philosophy. Salt’s often humorous sculptures and drawings appropriate recognisable cartoon-like references, but through his use of process and materials, does something sideways or questioning with them. This methodology often results in objects that seem to have a reflexive character executed with a certain élan for poking fun at their own base materiality. Lucy Steggals lives and works in London. A true collaborator, she is committed to engaged practice and to the development of work that actively involves urban, social and cultural infrastructures. She is fascinated by the possibilities of creating work that subverts site and engages the public to create the work. A collector of ‘things’, her most recent project is a museum that will act as an extension of her practice which is based on systems of gathering, collecting, re-arranging and re-distributing that which is already there. Tom Varley lives and works in Glasgow. Working primarily with film and video, he also experiments with print, text, sound and painting. Varley is interested in the five senses that mediate human perception of the physical world. His practice explores the tension between abstract, sensory experience, and the attempts to describe or represent this through language and other forms of symbolic communication. His films reflect on this entanglement, considering ways that research into perception and the senses might be reflected in artistic process. Rafal Zajko lives and works in London. As a cross-disciplinary artist, he creates sculpture, painting, performance and ceramic, with the resulting work often realised through film, video or projection. The theatricality of his practice is realised through objects as props which tend to be constantly recycled and re-used. Subsequent videos become physical manifestations of an idea through layering, repetition and re-recording. Much of his work draws upon his own experiences with pop culture, language, experimental film and music. Eastside Projects is an international centre of excellence based in a free public gallery that is being imagined and organized by artists, in partnership with Birmingham City University. Eastside Projects makes art public; commissioning, producing and presenting experimental art practices and demonstrating ways in which art may be useful as part of society. The influential Extra Special People programme develops regional talent positioned in a hyper-local and super-international context. Eastside Projects provides vital infrastructure and supports best practice by establishing and exercising new models for artists and curators to research, produce and thrive. New Contemporaries is the leading UK organisation supporting emergent art practice from British Art Schools. Since 1949 New Contemporaries has consistently provided a critical platform for new and recent fine art graduates primarily by means of an annual, nationally touring exhibition. Independent of place and democratic to the core, New Contemporaries is open to all. 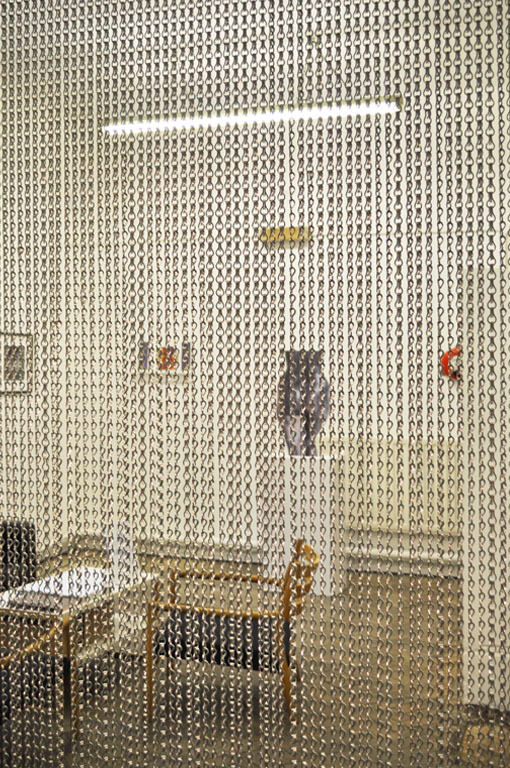 One of only two open exhibitions in the UK, participants are selected by a panel comprising influential art figures including curators, writers, and artists often who have themselves previously been a part of the New Contemporaries, and a rigorous process that considers the work within a broad cultural context. S1 Artspace was set up in 1995 by artists living and working in Sheffield who wanted to create a different type of studio organisation. One where artists would collaborate, share ideas and create opportunities for themselves. It’s grown from a modest, voluntary run studio complex to an organisation that now exhibits work at an international standard. S1 provides studio space for artists at varying stages, from recent graduates to established artists working at an international level. Over its 20-year history, S1 has accommodated over 130 artists through its studios, presented work by over 500 artists and commissioned 65 new works. Most recently this has included new commissions with Michael Fullerton, Elena Bajo, Jessica Warboys, Nicolas Deshayes and ambitious solo exhibitions with international artists Haegue Yang, Keith Wilson and Jennifer West. Spike Island is an international centre for the development of contemporary art and design, a place where artists and the public can meet, enabling audiences to engage with artists’ research and production. It also creates pathways for artists and other creative producers by nurturing a rich arts ecology that supports professional development beyond the confines of the organisation. Within its 80,000 square foot building, Spike Island offers visitors a year-round programme of exhibitions, events and activities, as well as providing working space for around 90 resident artists, designers and creative businesses and students from the University of the West of England. Studio Voltaire is a leading independent contemporary arts organisation based in London. Studio Voltaire exists to support artistic practices and create a space for thinking, experimentation and reflection; its main activities are the provision of affordable studios, a renowned programme of exhibitions, performances and commissions, and a pioneering education programme. Wysing Arts Centre develops new ways to support artists and enables art and ideas to engage a wide range of people in unexpected ways. Wysing’s large rural site near Cambridge comprises artists’ studios, education and new media facilities, a gallery and project spaces, a 17th century farmhouse and outdoor sculptures and structures. Wysing offers a unique environment for art to be developed and presented; with an ongoing and innovative artistic programme of events, exhibitions, retreats and residencies and a unique programme for young artists.